BROOKLYN, N.Y. – Dec. 6, 2018 – Petri Plumbing and Heating, Inc., a family owned business serving New York since 1906, is offering timely advice to New York homeowners to proactively prepare their homes to avoid frozen pipe damage. Monitor the thermostat – Make sure the home’s temperature is no lower than 55 degrees, especially if there are plans to travel for the holidays. A dip in temperature can increase the chances of frozen plumbing. Insulate the home – Attics, basements, and crawlspaces can develop leaks and cracks over time. Insulating these areas will maintain warmer temperatures and don’t forget to check around the foundation of the home as well. 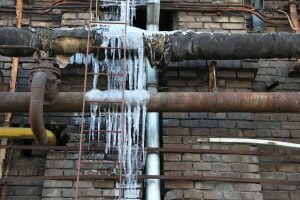 For more information about preventing damage from frozen pipes, please visit https://www.petriplumbing.com/ or call 718-748-1254.